Blockchain is more than just a tech industry buzzword; it’s a digital tool that could transform how business is conducted in a variety of fields, including transportation. While its use in trucking has not gained widespread traction yet, behind-the-scenes developments are well underway to advance blockchain applications and governance. Blockchain technology relies on a distributed ledger system for transactions, meaning data is not stored just on one company’s server, but on numerous servers in multiple locations. Encryption and required verification processes make the technology more secure than other ways of carrying out digital transactions, and thus far no blockchain has been hacked. Plenty of confusion surrounds blockchain, in part because the technology is so new but also because some people automatically associate it with cryptocurrencies, such as Bitcoin. Blockchain is the technology platform on which cryptocurrency applications are built, but the two are not synonymous. Blockchain is in its infancy, but “it is here and it will be disruptive,” Craig said. “Eventually, it will alter or replace many processes in the trucking and transportation industry” in addition to reducing risk and ultimately boosting profitability. 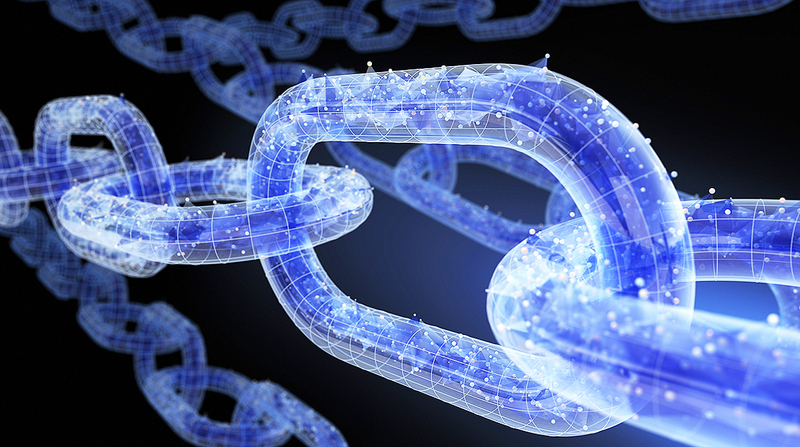 Experts indicate blockchain will cut down on a significant amount of paper­work and increase carriers’ and their partners’ operating efficiencies. Smart contracts, also called self-executing contracts, are one of the most well-known current uses for blockchain. These contracts allow for tamper-proof documentation for the exchange of goods or services between two or more parties. While this application could catch on in trucking, experts believe blockchain holds more promise for the industry in other areas, such as the distributed ledger concept offering greater visibility and traceability for shared information. Trucking companies are expected to experience location-related benefits from blockchain’s traceability, including with hours-of-service data. It also can aid in proving compliance with commercial agreements and regulatory measures. “At times, drivers are participants in commercial transactions that require visibility. You need to know where your load is, if the driver is actively driving and if they’re meeting requirements,” said Brad Taylor, vice president of data engineering, AI and machine learning at Omnitracs. Blockchain is predicted to become a major tool for high-service-performance transportation sectors with stringent compliance requirements, including hazardous material or food and beverage transportation, namely cold chain-of-custody management. “Food safety is big,” said Vasanth Srinivasan, vice president of enterprise architecture at TMW, a Trimble brand. Currently, food transportation information is communicated to the appropriate trading partners, “but there is still doubt whether the information you get is valid,” he said. However, storing the necessary shipment and compliance details in a blockchain and “safely exchanging that information through the trading partners so they can make more effective decisions is important,” Srinivasan said. Blockchains can’t be altered once they are verified, and additional data blocks must be added for related transactions. “If there’s ever an issue of material quality, quantity or content, it’s all traceable … all the way back to the agriculture,” Schenker said. For example, if a company finds itself at the center of a public health scare because it has to recall a potentially contaminated food product, a blockchain record could help the business quickly and easily track every step of where that product had been, who handled it during transportation and where contamination might have occurred. Food safety — specifically, multiple reports of salmonella and E. coli contam­inated food in 2018 — is what recently prompted Walmart to deploy blockchain in its shipping operations. It asked suppliers of fresh, leafy greens to start tracking products to farms using blockchain. The systems are supposed to be fully functional by late next year. Walmart indicated that the process sometimes takes up to seven days to track a single item by contacting a sup­plier, receiving paper records and using the records to identify and contact the companies that transported items to Walmart distribution centers. It expects that the transparency and accuracy blockchain provides will cut down that process to merely seconds. Quicker and more accurate transaction verification and proof-of-delivery via blockchain also could speed shippers’ billing and carriers’ receipt of payments. The paperwork and proof-of-delivery processes required through most existing systems lead to long lag times for payments. Plus, each company requires different forms and sets of data. But devising a standard blockchain system could help businesses capture and verify that data more seamlessly and rapidly. Despite the benefits, and the fact that new applications continuously are emerging, experts warn against getting caught up in the blockchain hype and attempting to implement the tool without first having a solid use case in mind. “Blockchain isn’t the only answer, and in some cases it’s not the best answer,” Schenker said. Many companies want to be at the forefront of blockchain adoption, but there are reservations. Trying to grasp every aspect associated with blockchain and then adopt the technology is akin to “boiling the ocean,” Coombes said. “It’s so abstract in some ways that we’re trying to figure out what could be a fit first, because there are so many different applications,” she said. Quite a number of fleets and their partners have investigated use cases for how blockchain could solve some of the industry’s problems, but most of them reach the same conclusion: It’s not yet a mature enough technology to warrant heavy investments. “After researching and working on [blockchain] for a year now, we realized standards first need to be established,” TMW’s Srinivasan said. That collective realization led to the formation of the Blockchain in Transport Alliance in 2017. BiTA aims to create standards for blockchain use within the transportation industry, which could uncover additional use cases. Interest in blockchain and BiTA membership is far stronger than organizers anticipated. They predicted the group would have a couple of dozen members at the beginning of 2018, but it has more than 500 and has received more than 2,800 applications. Members come from a variety of transportation businesses and related organizations, including carriers, logistics providers, equipment manufacturers, technology developers, service providers and government entities. Small and large businesses alike are part of the collaboration, with giants such as UPS, FedEx, Target, Google and Anheuser-Busch among the members. “[BiTA is a] common forum for people to talk a little more freely – sharing their experiences and insights without giving away their secret sauce,” Coombes said. The alliance has formed technical committees in three areas: data and formats, finance and payments and interoperability. Each technical committee consists of several working groups and others could form down the line, along with a member-­certification program to verify that a business is operating in accordance with BiTA standards. BiTA’s work to create transportation industry blockchain standards includes addressing some of the developmental and implementation challenges that accompany an emerging innovation. Although blockchain is lauded for its transparency, there are drawbacks to having that kind of visibility that still must be worked out. For example, carriers must protect drivers’ identities and sensitive information when making hours-of-service and other ELD-centric data transparent on a blockchain. For now, that’s a sticking point. Similarly, blockchain technology’s transparency could expose trade secrets or contract pricing details that companies wish not to make public. Right now, the technology as a whole does not offer the capability of isolating sensitive information and hiding it from other parties who have access to the blockchain. Data security is a common problem, and some people are hesitant to use blockchains for that reason, TMW’s Srinivasan said. But developers’ knowledge of private versus public information sharing is growing, as is the ability to limit who has access to a blockchain through techniques such as data encryption. Because blockchain technology is so new, and because it processes and stores such large chunks of data, optimal processing capabilities have not yet been realized. “Transactions that take place on a blockchain could take up to 10 minutes. They are not instantaneous computer transactions,” said Rich Wigren, senior business analyst at McLeod Software. Still, the tool provides efficiencies over other secure record storage methods, and the processing speed will continue to improve. Interoperability among individual blockchains and the companies that use them is one of the other challenges BiTA is examining. The alliance’s diverse membership reflects that many players in different industries need to find ways to work together. For instance, carriers and shippers would need to implement compatible technology. Experts agree that eventually blockchain will become widely used and automatically be built into digital architecture. Users won’t discuss or even recognize that they are working with the technology, similar to what occurred with the internet’s maturation. But it will take years to reach that point, especially for the trucking industry. Craig forecasts a large learning curve over the next couple of years about blockchain, its successful use and overcoming challenges. “Probably from about 2021-25 you will see growth. … Then around 2026 or later, we will start to see maturity [and] it will be widely adopted and considered an integral part of the supply chain ecosystem,” he said. “It’s always difficult to predict how widely a technology is going to be ­adopted … We see blockchain eventually being as pervasive as the internet,” Omnitracs’ Taylor said.